2. 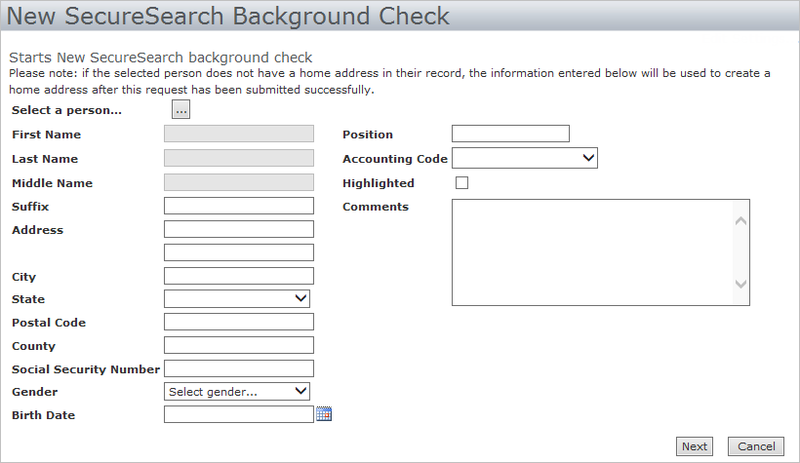 Click the Search icon to the right of Select a person to search and select an existing record or enter information for a new record. 4. 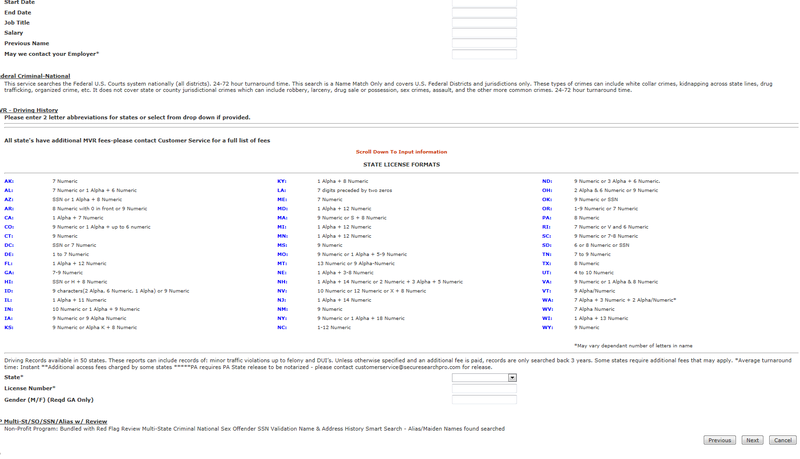 Select the package or service for the individual. 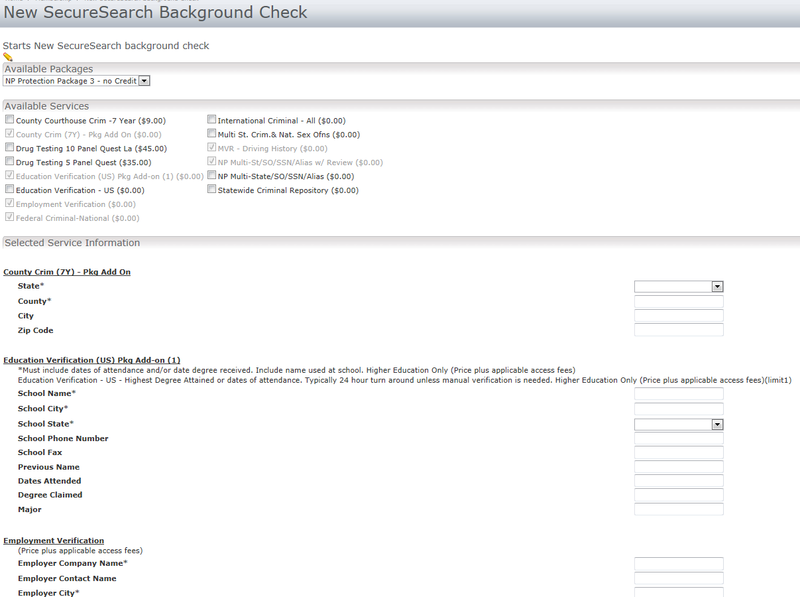 All packages and services are specific to your organization’s Secure Search account. 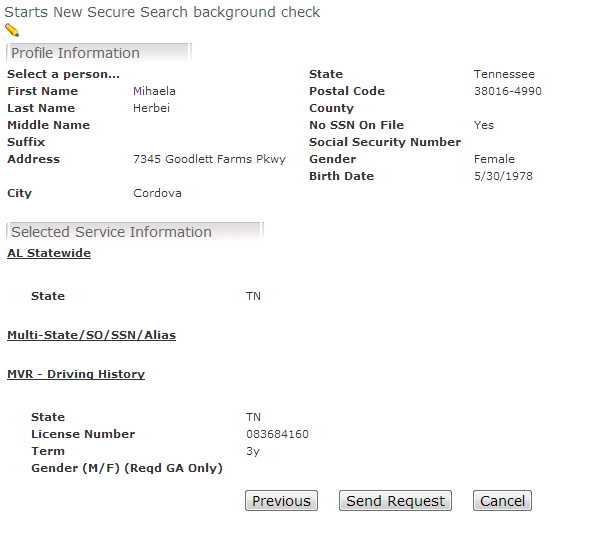 Based on your selection, additional information may be required. 6. Review the Summary of Service. 7. Click the Send Request button. 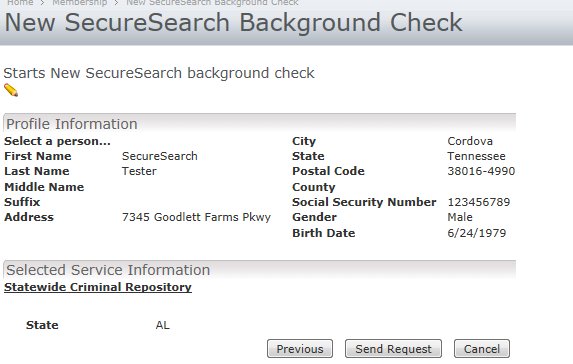 Additional information displays confirming the submission of the background check, along with a unique Profile Id provided by Secure Search.